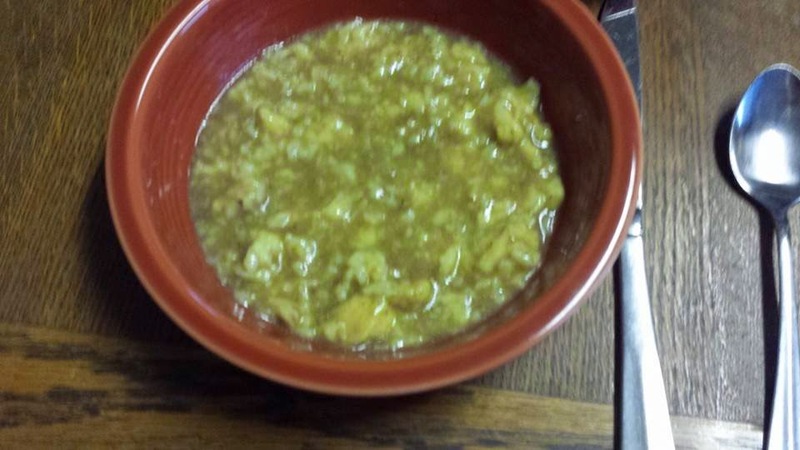 If you research Rivel Soup, there are a number of recipes that include various ingredients. The recipe handed down to me by Mike's family lends itself to being the most basic and frugal of any Rivel Soup recipe available. I am sure this is because the recipe originated with those who had to make the most of what they had, as they needed the food to stretch as far as possible with the least number of ingredients. The recipe can be made with broth from chicken or beef, but Mike's family has always made it with beef broth. Mike's mother always makes roast beef and then uses the broth from the roast to make the Rivel Soup. (One could also make beef bone broth and use it for the base for the soup.) Once you have your broth, the next step is to make your "rivels". The best way I can explain rivels is to say they are the fast and easy method of making what is very similar to egg noodles. You only need two ingredients to make the rivels: flour and eggs. Take your egg and break it into a bowl. 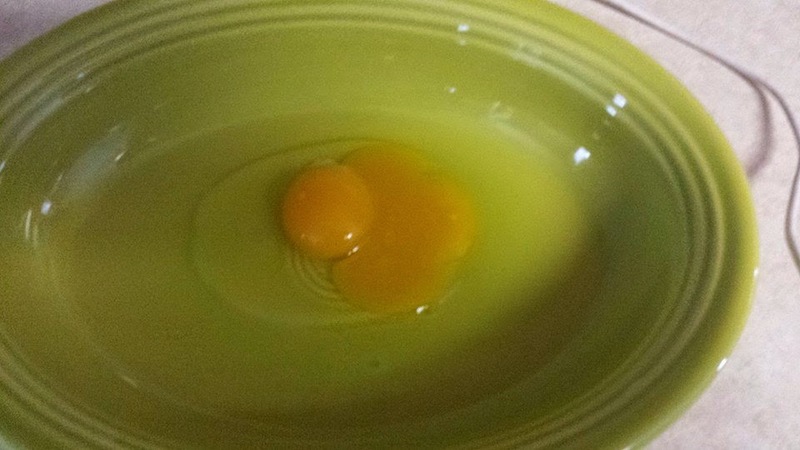 I happened to break open a double yolked egg. 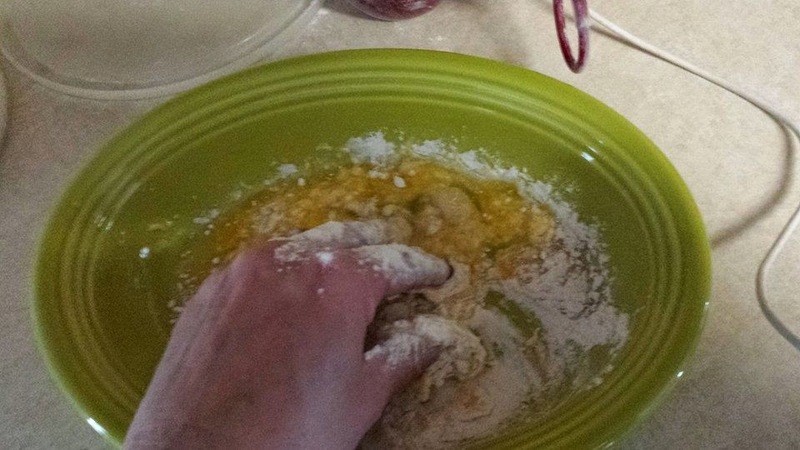 Then begin working flour into the egg. 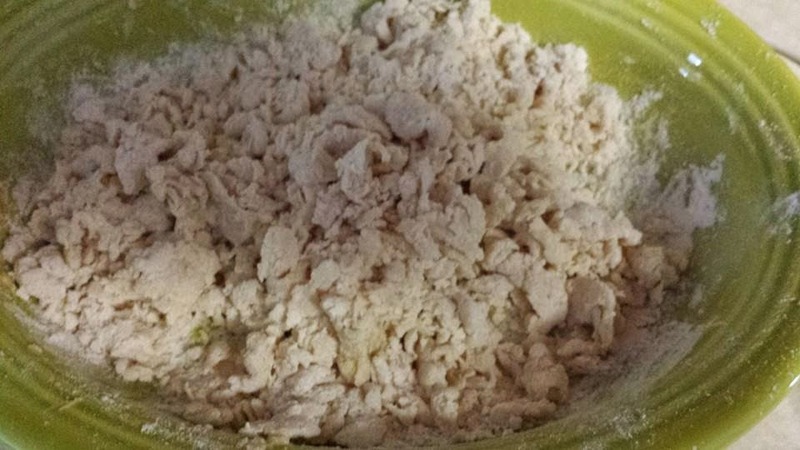 You want to keep working in the flour until the "rivels" form. Basically these are tiny egg noodles. Evidently, according to my mother in law, the sign of one who is an expert at making rivel soup is that the little "noodles" are extremely small (think rice size). My rivels were not as small as they should have been, but when I looked at other recipes on line, I think mine were comparable to most. The next step is to slowly drop the rivels into boiling broth. You don't want to dump them all at once and you want to stir continuously. 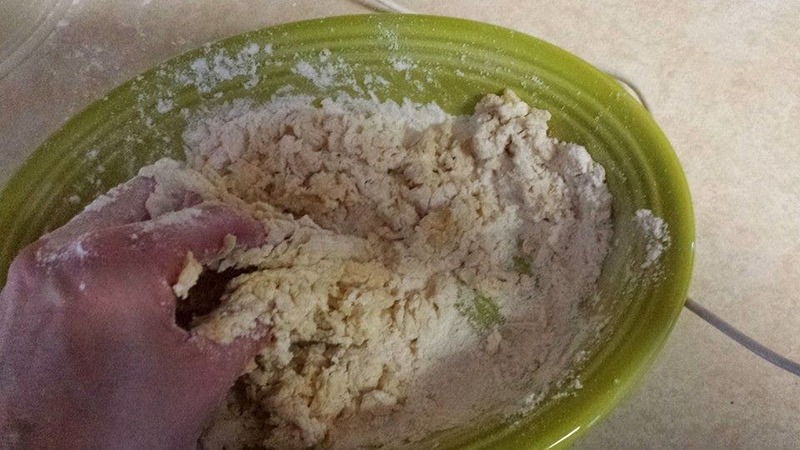 If you dump them all at once or do not stir, you will just have one big clump of dough in the bottom of your pot. The finished product produces a broth with tiny egg noodles and is quite tasty. I admit, I still like my dumplings better than rivel soup BUT the joy on my husband's face when I served up rivel soup means I will be making it many times over to please him. Besides, it's super easy to make!